[Satnews] Having witnessed tremendous growth in recent years, the market for small satellites now offers untold potential—particularly for small and midsize companies. Start-ups such as Skybox, Planet-Labs, and UrtheCast are already grabbing headlines with spectacular satellite fleets, investment deals, and corporate acquisitions. So far, satellite production has been dominated by high-tech operations that manufacture small quantities and sell them at high prices. With high-resolution images and videos, high flyover rates, and new business models, these new stakeholders are forcing established satellite manufacturers to rethink their approach. Its partnership with OneWeb, for example, has inspired Airbus Defence & Space—Europe's largest aerospace corporation—to develop innovative designs and processes that drastically reduce the costs involved in producing larger numbers of units. OneWeb's constellation of 648 microsatellites is to offer affordable Internet access across the globe starting in 2018. This is just one example of the rise of the New Space Economy, which has already brought forth more than 100 new companies. Lured by the promise of significant profits, venture capital funds around the world are providing these aerospace start-ups with fresh financial support. To unearth innovative solutions and new business models for the future aerospace industry, the new idea competition INNOspace Masters is to award prizes to creative ideas for optimizations along the entire value chain in satellite manufacturing under the theme "Satellite 4.0." It is geared towards small and midsize enterprises (SMEs), research institutions, universities, and start-up companies - especially those that have gained Industry 4.0 experience in non-space sectors and want to offer the aerospace industry new perspectives. 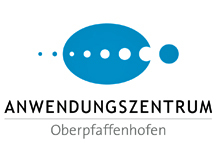 The competition's partners, which include the Space Administration of the German Aerospace Center (DLR), Airbus Defence and Space, and Germany's two ESA Business Incubation Centres, will be sponsoring prizes in three categories for ideas and projects at different stages of maturity and innovation. "INNOspace Masters is an excellent opportunity for companies and research institutes from non-aerospace sectors to present their innovations to the aerospace industry for the first time," said Dr. Gerd Gruppe, chairman of DLR Space Administration. "We're looking for innovations all along the satellite value chain, from the definition, construction, production, and testing phases to launches, operations, and evaluations," adds Dr. Ulrich Kübler, director of business innovation, intelligence, and future trends at Airbus Defence and Space. "In the process, we plan to focus primarily on the application of industrial standards and processes." One outstanding example of how companies from other fields can get started in the aerospace industry involves commercial off-the-shelf space components, or SpaceCOTS™. Until recently, those seeking to purchase aerospace components—to build a small satellite, for example—have faced a difficult decision: One option requires them to spend a great deal of money and time waiting for corresponding permits, as products in the aerospace realm are generally subject to the strict provisions of the International Traffic in Arms Regulations (ITAR). The other approach is to opt for COTS components; up to this point, however, it has not been possible to qualify these parts for aerospace applications. In SpaceCOTS™, the Bavarian start-up Spectrum ARC is now offering a cost-effective alternative by testing and certifying commercially available components for use in satellite construction based on the highest ESA and NASA standards. "Using components that have already passed a battery of vibration, shock, thermal vacuum, and radiation tests will enable start-ups and other small firms to join the New Space Economy," said Thorsten Rudolph, CEO of INNOspace Masters organizer Anwendungszentrum GmbH Oberpfaffenhofen (AZO). Have you come up with an idea for optimizing the satellite value chain? Then seize your chance to obtain support from the first-rate partners of the INNOspace Masters competition. As a winner, you'll be able to take advantage of extensive marketing and communication activities, a global network of contacts, and the technological and business-related services you need to see your project through. 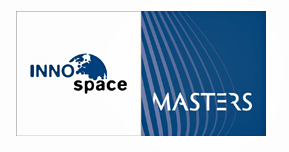 Register today at http://www.innospace-masters.de — The competition's submission phase will end on January 31, 2016. For a thorough immersion in the smallsat market segment, consider attending the upcoming, two-day and extremely important SmallSat Symposium. This highly informative symposium will be conducted on Tuesday, February 23, and Wednesday, February 24, 2016. The event will occur at the Hogan Lovells Conference Center in Silicon Valley, California, and is organized and sponsored by Satnews Publishers.